The duo had missed out on the first three matches due to hamstring strain for Neesham and knee injury for Astle, will replace all-rounder Doug Bracewell and leg-spinner Ish Sodhi, respectively. 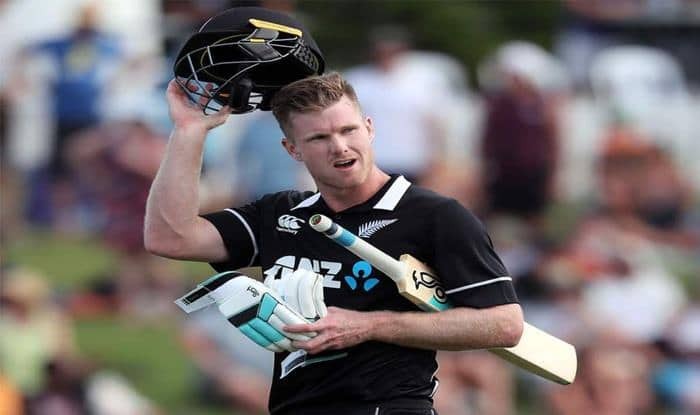 All-rounders Jimmy Neesham and Todd Astle have been recalled to the New Zealand ODI squad for the final two matches against India. The duo had missed out on the first three matches due to hamstring strain for Neesham and knee injury for Astle, will replace all-rounder Doug Bracewell and leg-spinner Ish Sodhi, respectively. “Doug and Ish have been two of the brighter spots of the ODI series so far and we have been encouraged by their performances against a quality Indian side. It is great to welcome back the all-round skills of Jimmy and Todd and we are looking forward to seeing what they can bring to the series,” ICC quoted New Zealand national selector Gavin Larsen, as saying on Monday. “We are still looking to keep our options open with selections at this stage and ensure we continue to learn as much as we can about our players,” Larsen added. India, who have taken an unassailable lead of 3-0, and New Zealand will play the fourth and fifth ODIs in Hamilton and Wellington on January 31 and February 3 respectively.